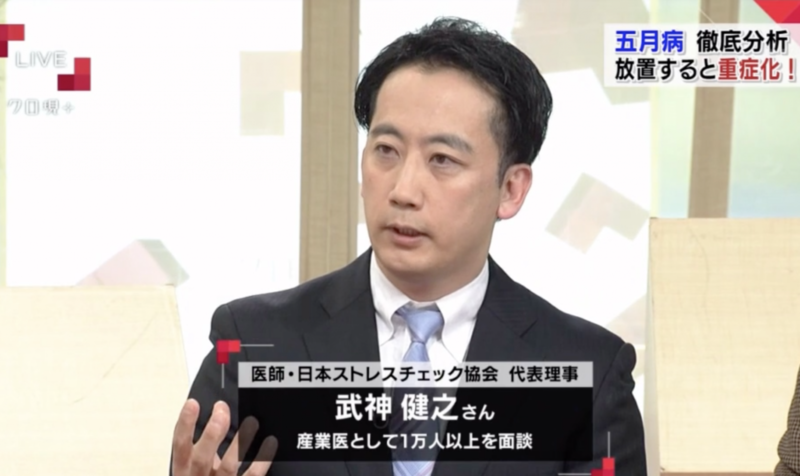 Why do we need a Company Doctor in Japan? 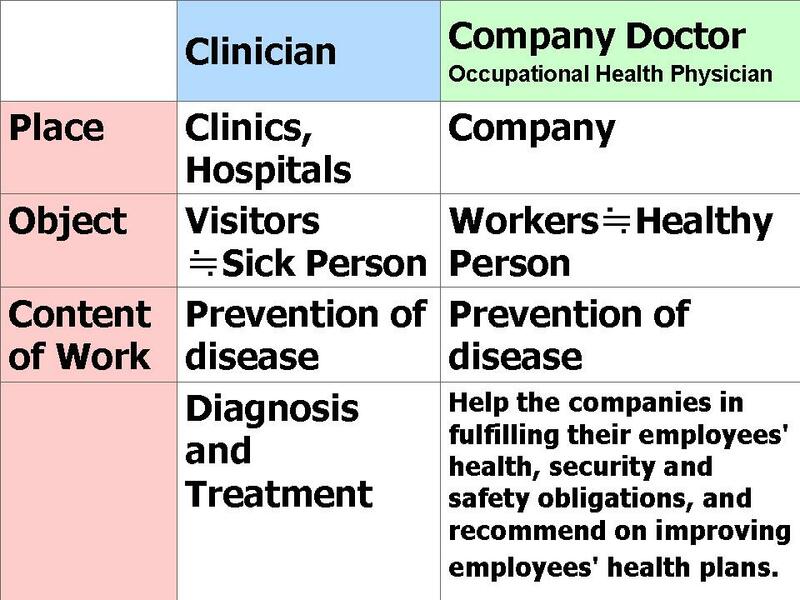 A company with more than 50 employees must have a company doctor who will help them with their personal health management and who will advise the company on employees’ health management issues. What does a Company Doctor do? In many cases it is extremely difficult to differentiate between the symptoms of occupational and non-occupational disease. In general, the industrial hygienist, by pointing out the work operations and their associated hazards, enables the physician to correlate the employee’s condition and complaints with the known potential job health hazards. Through physical examinations, select workers for job assignments where pre-existing conditions will not be aggravated nor will the worker’s presence endanger the health and safety of others. Mental and physical health management. Interview (consultation): job replacement, absence from work and reinstatement. Mental health of their subordinates / employees. Correspondence to a person of his/her job replacement, absence from work and reinstatement. Company doctor recommends the company on improving employees’ health plans. n Visit a company once a month. n Analyze employees’ health situation based on the result of their periodic health check-up reports. 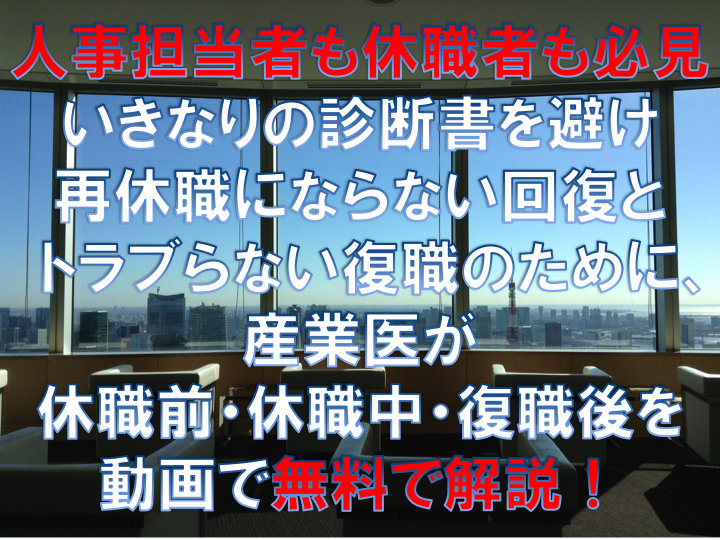 n Provide health care guidance and consultations to employees (recently, most of the guidance is related to lifestyle and mental disease). n Interview employees who’s overtime working hours exceed 100 hours per month and show signs of fatigue, on employees’ request basis. n Advise the company on employees’ health management issues.